Researching lost beers demands quite a lot of imagination. More than often the available brewing records are illegible, messy, incomplete or they simply look like something from another planet. The problem is of course that the brewer who once wrote them down was completely familiar with his own brewery and the ingredients, so he didn’t record everything. Clearly he didn’t think: ‘Would someone still understand this in one and a half century’s time?’ Today’s breweries, big or small, differ greatly from the situation back then. What was a hopback at the time? How did you handle a mash tun or a fermenting vessel? Only slowly old texts start to make sense. Therefore, it’s very helpful to see everything for real. And that is possible in Maastricht, a city at the most southern tip of the Netherlands. I visit the Dutch province of Limburg much too rarely. 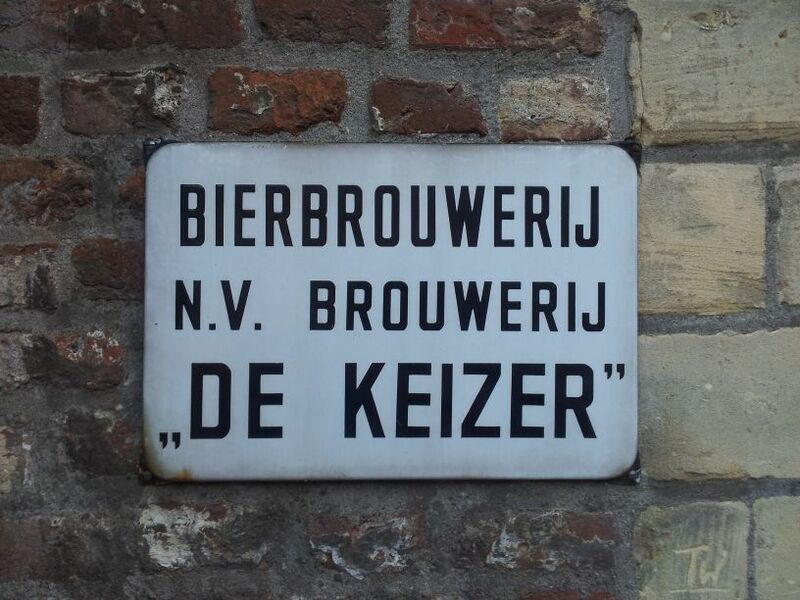 So it was time to come the old city centre of Maastricht again, lose my way there, have a coffee on Vrijthof square in the honourable café In den Ouden Vogelstruys, and go for a guided tour at De Keyzer brewery in the district of Wijck (pronounced ‘week’). In 1970 this urban brewery, at the time already hopelessly backward, was closed. 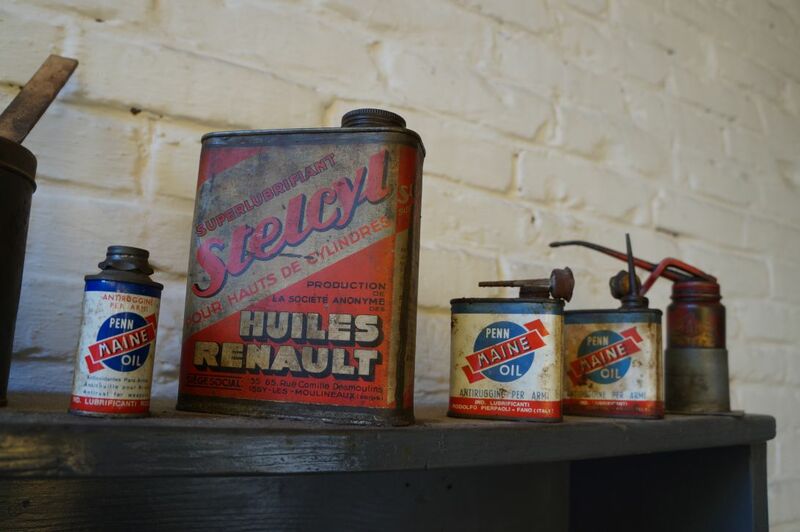 The owner however, Paul Bosch, kept everything as it was and continued to live there into his old age. He died a few years ago, but thankfully the entire complex is now in the hands of a foundation. And so, that Saturday afternoon I followed my tour guide Jean, a man in his late sixties. 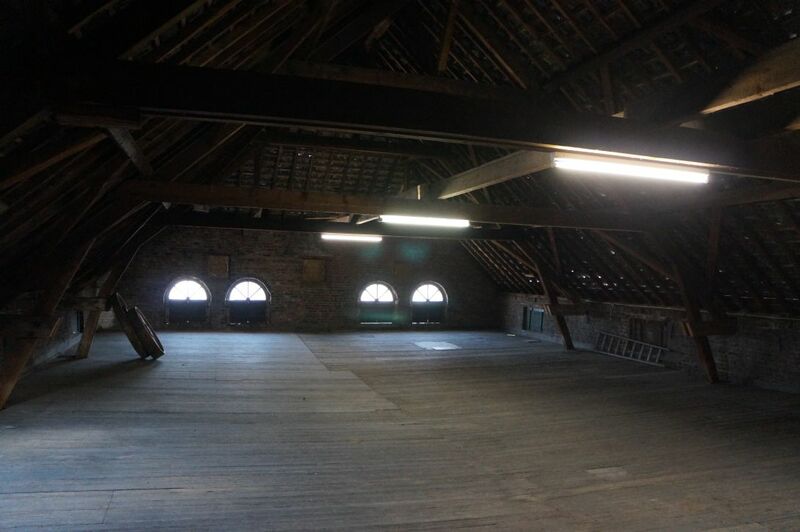 The door swung open and we entered the old malthouse. A five-storey building towering high above the neighbouring houses. 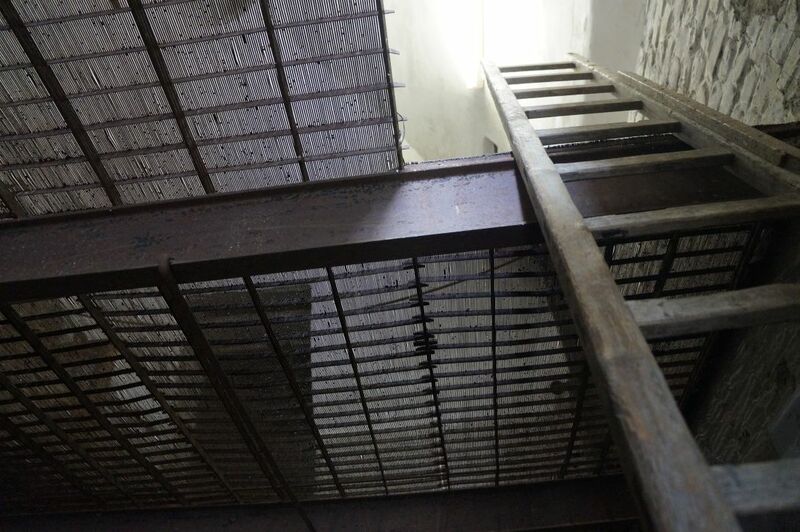 Along narrow little stairs, once used by sweating workmen carrying upstairs heavy bags of malt, we reached the malt attic. Here the shutters can still be seen, they were opened to let the wind dry the malt. Behind the attic there is an actual kiln floor: here an oven (demolished during the Second World War) was fired to let the malt dry even faster and maybe roast it lightly or more heavily. 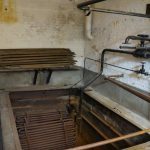 This kind of ‘floor malthouses’ was phased out in the first half of the twentieth century in favour of so-called drum malthouses, and that’s why De Keyzer stopped making its own malt in 1928. Anyway, the contents of a mashing tun need to be stirred, and this one has a stirring mechanism. One that still works. The only thing my tour guide Jean needed to do, was to switch on the electric engine in an adjacent room. Via a conveyer belt the stirring mechanism is then set in motion. Originally (from about 1870) a steam engine did all the work, until it was taken out of use in 1918. Such a steam or electric engine could be linked to various devices: the stirring mechanism, the crushing mill, pumps, the ice machine. 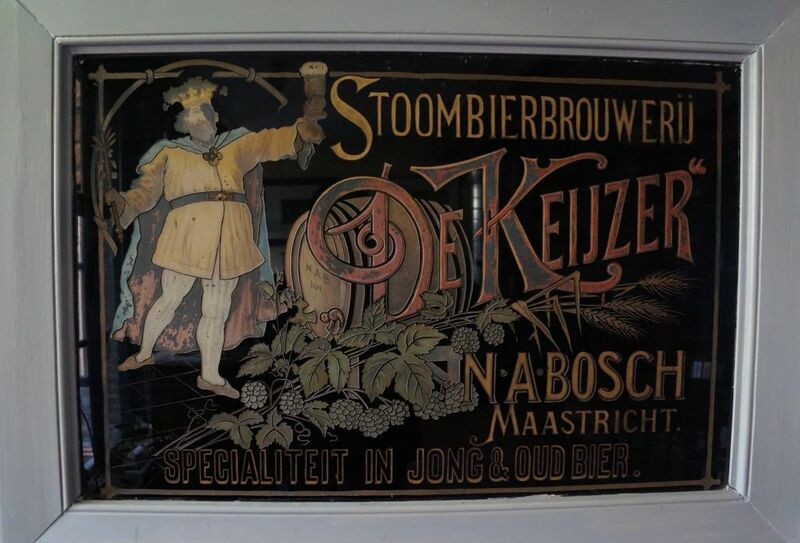 The latter was bought in 1930, quite late in comparison with other Dutch breweries. It’s still there. Once more it’s clear how complete the whole plant still is: even the crown cap machine in the bottling room still works! It makes you think they could still make beer here if they wanted to (and if regulations would allow it). 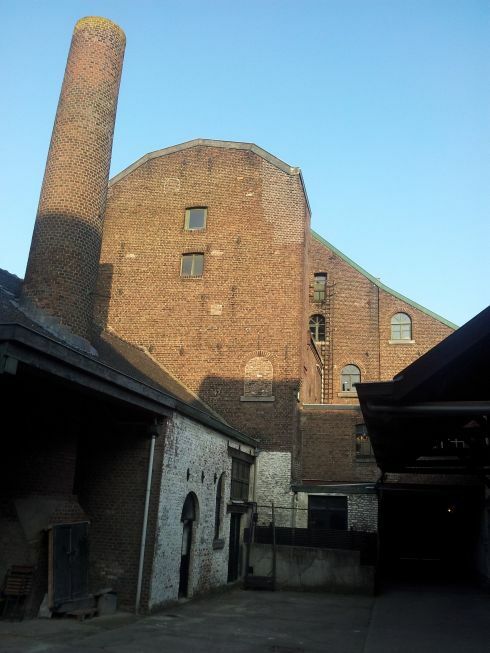 Adjacent to the brewery, there’s the office and the director’s house, and these too are largely in its original state. 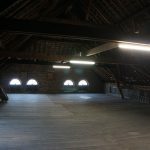 From these rooms the Bosch family must have run their little beer empire, especially in its heyday, 1880 to 1914. 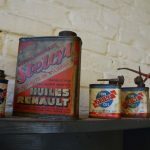 After that, the brewery became hopelessly old-fashioned, which was bad for business, but good for us: that’s why everything is still so authentic. One thing that probably wasn’t part of the complex, is the tasting room. 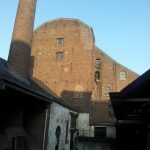 But naturally, a historic brewery can’t do without it. Here there are two beers available with a nostalgic touch. Not made exactly following the historical brewing process, but they taste great and the recipe was conceived by my tour guide Jean personally. It is brewed in Belgium. And then, another surprise awaited me. 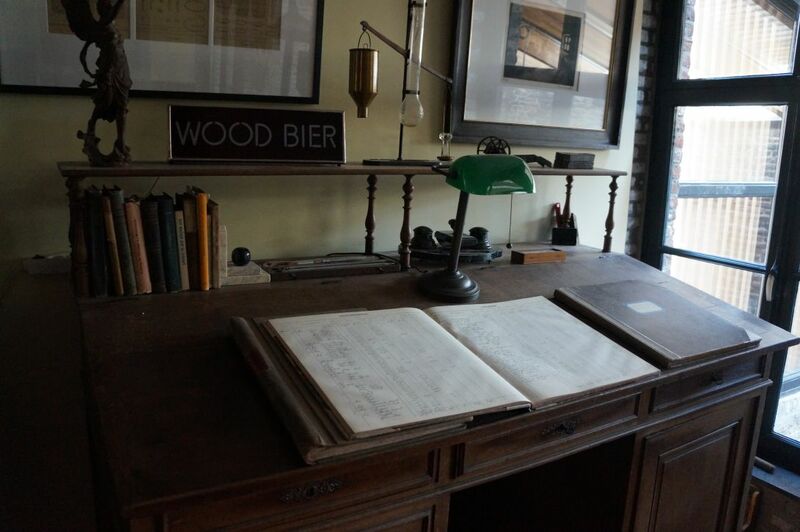 What’s that hand-written notebook in that display case? Is that… a recipe? It is. 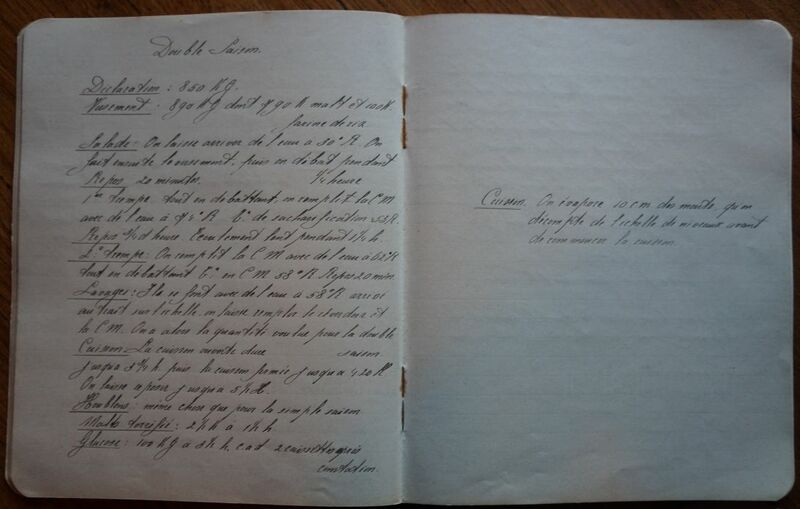 It turns out to be a booklet with notes written by Marcel Bosch, then 25 years old, who in 1913-1914 had to familiarise himself with the trade of brewing. 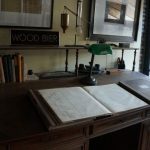 In detail, he wrote down a comprehensive inventory of all the buildings and everything in it, and a description of the brews. In French, because that was then the language used in the brewery, because of the many Belgian workers there. Luckily, this was no problem to me (another tip: study foreign languages, an entire new world opens up). 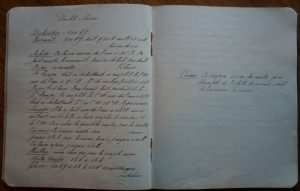 The 1913 brewer’s notebook containing the ‘double saison’ recipe. And so we see that they made a ‘simple’ and ‘double saison’, and naturally the ‘bière de Maestricht’ (the Gulpener brewery still makes an excellent version of this old beer type, called ‘Mestreechs aajt’) and also a stout. The latter (a stout from Limburg!) is featured in my book Verloren bieren van Nederland. For the moment, let’s look into that saison. Because here, very close to francophone Belgium, they were making it too. Source: brewing notes by Marcel Bosch (1888-1974), collection Stichting Stoombierbrouwerij De Keyzer N.A. Bosch, Maastricht, the Netherlands. My translation from French. Declaration [to the tax authority? ]: 850 KG. 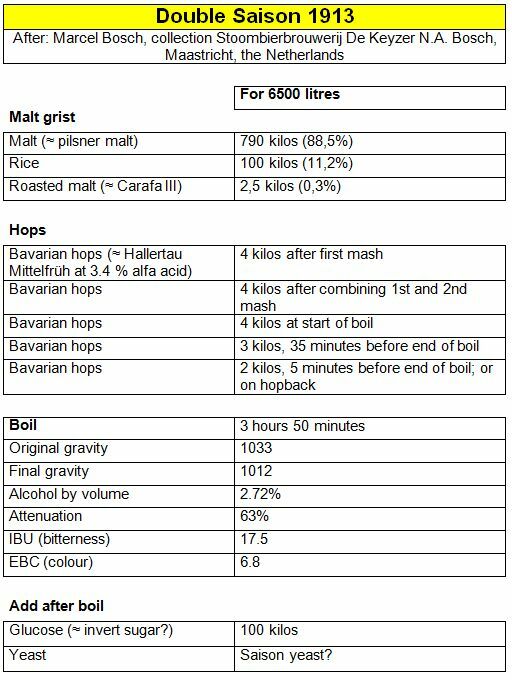 Grist: 890 KG of which 790 KG malt and 100 KG rice flour. Mashing in: Add water at 30º Réaumur (37º C). Then add the grist and stir for 15 minutes. First mash: while stirring, fill the mash tun with water at 74º R (92,5 ºC). Saccharification temperature 53º R (66,25º C). Rest 45 minutes. Slowly let the wort flow out in 75 minutes’ time. Second mash: fill the mash tun with water at 62º R (77,5º C) while stirring, temperature in the mash tun 58º R (72,5º C). 20 minutes of rest. Sparging: this is done with water at 58º R (72,5º C). when it reaches the mark on the scale, let the underback fill up and the mash tun. This gives the right quantity for the double saison. Boil: the open boil lasts until 3:45 h. Then the closed boil until 4:20. Let it rest until 5:30. Hops: the same as for the simple saison. Roasted malt: 2.5 KG at 1:30 h.
Tannins: 150 gram at 3:45 with the last hops. Constatation [observation of original gravity? ]: at 1 or 2 h.
Original gravity: 8º Balling or 3.3 Belgian degrees [=1033]. Quantity 65 hectolitres. Fermentation: fermentation takes place in barrels. 10 litres of yeast is added. Clarification: the same as for the simple saison [which is, on the last day of fermentation in barrels]. Attenuation: this varies from 60 to 63%. In winter, make sure you have a low attenuation so the beers can foam well. I’m not an expert on glucose and invert sugar, but it’s clear that here it is mainly used to make the beer sweeter. In any case, the beer clocks in only at 2.72% ABV (not counting the sugar), which seems low for a ‘double’ beer. The simple saison in the same notebook was only 2.1% ABV. This seems however typical for its time and place: right across the Belgian border in Liège, a 1913 saison was at even less, at only 1.82%. It would seem that the saison of Maastricht is related to the saison of Liège, a beer quite distinct from the saisons from Hainaut that we are accustomed to today. 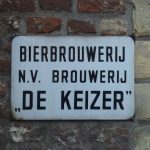 In fact, in the 19th century, Liège saison was the only saison that most Belgian brewing manuals bothered to mention: a rather odd keeping beer with a lot of spelt in it. More on that in an upcoming article. However, the 1913 Maastricht saison is markedly different from traditional Liège saison, as there is no more spelt in it, and apparently it may have been drunk fresh. In fact, with all the hops in it and its light colour, it does resemble current Hainaut saison in a number of ways, except for its lower ABV. In any case, you can calculate the 1913 double saison into hobby brewer’s quantities and make one yourself. 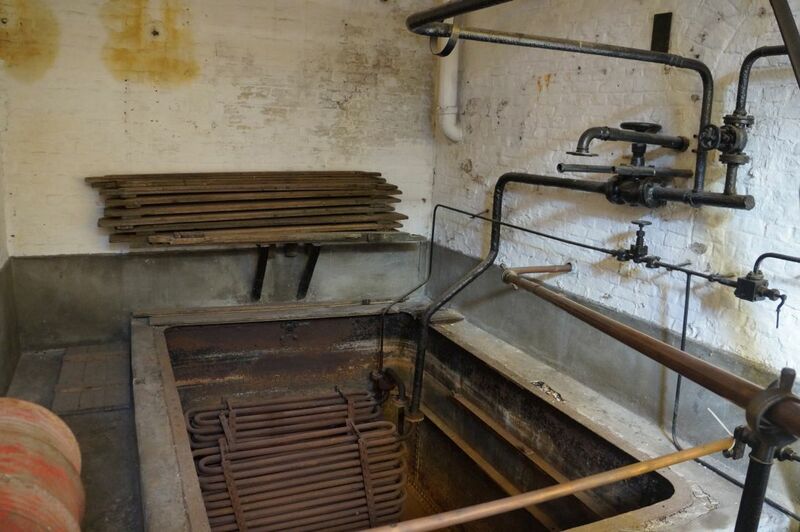 And: do go to Maastricht and visit the Netherlands’ most well-preserved historic brewery. At De Keyzer, they now sell a saison again, but one at 6%. Probably they do so because it more resembles what we would think of as a saison nowadays… There are no opening hours, each week there is just one prescheduled guided tour, on Saturday at 14:00 h. Reservation via the Foundation (brouwerijbosch.nl), also possible through the Maastricht tourist office. And for groups, appointments can be made. 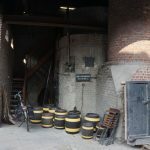 To read about another saison-making brewery that is thill largely in its original state (and actually still brewing), see my article about the Brasserie à Vapeur in Belgium. 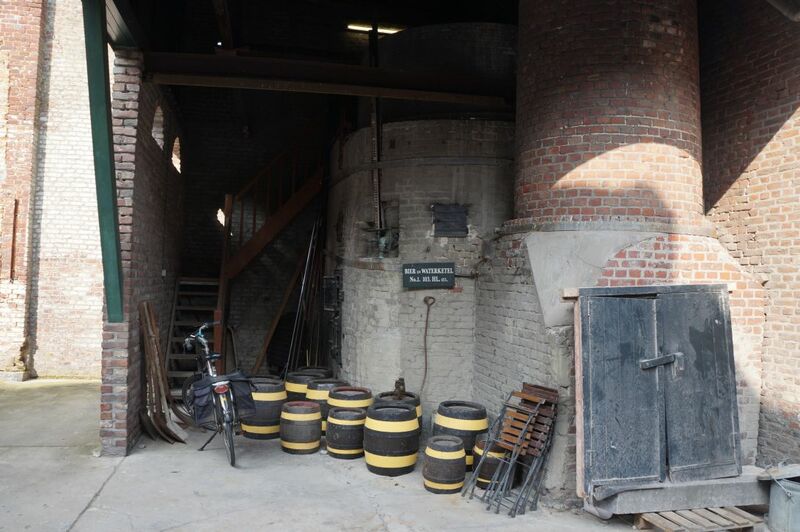 Historic data on the brewery are in a little book I was given by the foundation, for which I’m very grateful: Dr. Eugène A.M. Schenk, Stoombierbrouwerij De Keyzer N.A. Bosch 1758-1970 te Wyck-Maastricht, Maastricht 2001. Dr. A.J.J. Vandevelde, ‘Leidraad voor lessen over de voeding van den mensch, voor hooger huishoudkundig onderwijs’, in: Verslagen en mededelingen van de Koninklijke Vlaamse Academie voor Taal- en Letterkunde 1921, Gent 1921, p. 361-446, here p. 425. 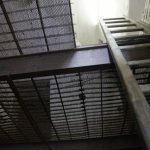 This article is an extended version of the Dutch article, http://verlorenbieren.nl/double-saison-uit-maastricht/.